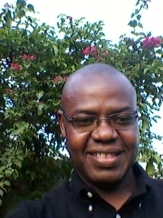 Mr. TCHIKANGWA is an independent senior consultant based in Cameroon. He has nineteen years of experience in the Congo Basin on biodiversity conservation, sustainable forest management and certification. The main tasks of Mr TCHIKANGWA will be to assist companies on the ground on their way to sustainable forest management, to evaluate progress of companies towards certification, to network with other local sustainable forest management initiatives and projects, and to animate the CBP regional working group. His in-depth knowledge of both the company perspective and the NGO perspective as well as his extensive network of forestry companies, NGO’s and government representatives will contribute to the success of the Congo Basin Program.